Citizens Bank Park during the Phillies 2018 home opener. The Phillies are taking the fan experience to the next level this season with several new attractions at Citizens Bank Park. The largest enhancement to the ballpark is The Yard, a 13,000-square-foot “major league” park that delivers an interactive baseball experience that literally gets kids in the game. This family-fun destination provides younger fans with the opportunity to run around a mini ballpark modeled after the Phillies’ own major league field, climb a 30-foot rock climbing wall and get some target practice using an authentic Hatfield hot dog launcher (which happens to be the same size as the Phanatic’s). Kids will also love the new bullpen speed pitch, dugout and ice cream bar. The upgrades continue in left field with some fun new ways to celebrate Phillies history. The newly-renovated entrance plaza now features oversized World Series trophies and large retired numbers – perfect for snapping a selfie or taking a family photo. Also new this season, the Phillies Wall of Fame and the team’s championship banners have been relocated to the back of the scoreboard. And that’s not all! Fans will now find it even easier to enjoy the ballpark’s award-winning food options without missing a second of the game thanks to the addition of several new social spaces with drink rails, high-top tables and television screens. These gathering hotspots are the perfect complement to the stadium’s two newly-themed food areas. The Backyard Bar, located near The Yard, features a variety of local brews, and Boardwalk Eats offers a great selection of boardwalk-style concessions in left field. A redesigned Bull’s BBQ is also nearby, as well as a brand-new patio area with phone recharging stations. The Bill Giles Party Suites also received a total makeover, with one suite even featuring glass walls and a scenic view of the Philly skyline. These renovations were a collaborative effort among the region’s top architects, developers, and designers. 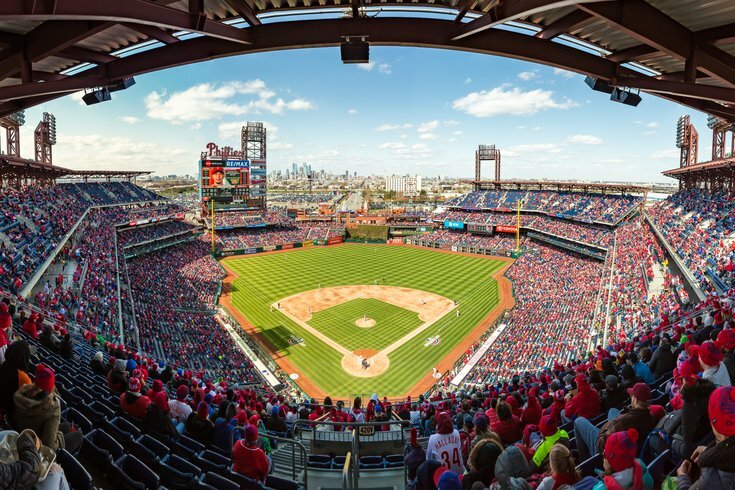 Contractor LF Driscoll, the leading service construction provider in the Philadelphia metropolitan region, provided the full range of construction management services related to the ballpark’s upgrades.